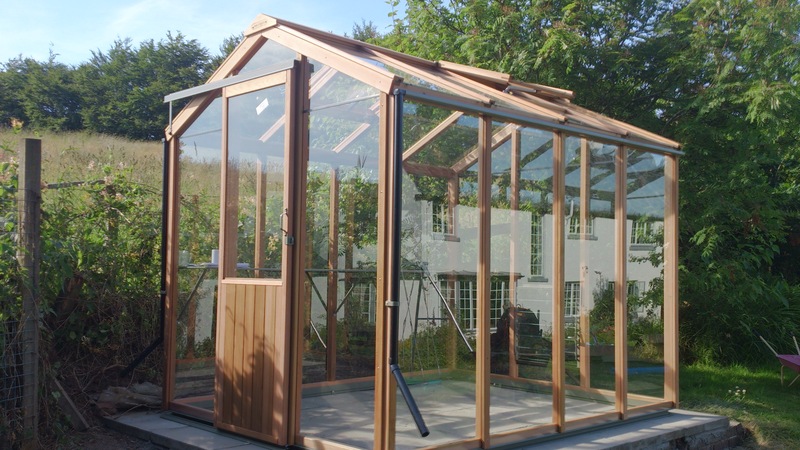 We select only the best Western Red Cedar, supplied from renewable sources as it's the ideal material for use in our greenhouses. 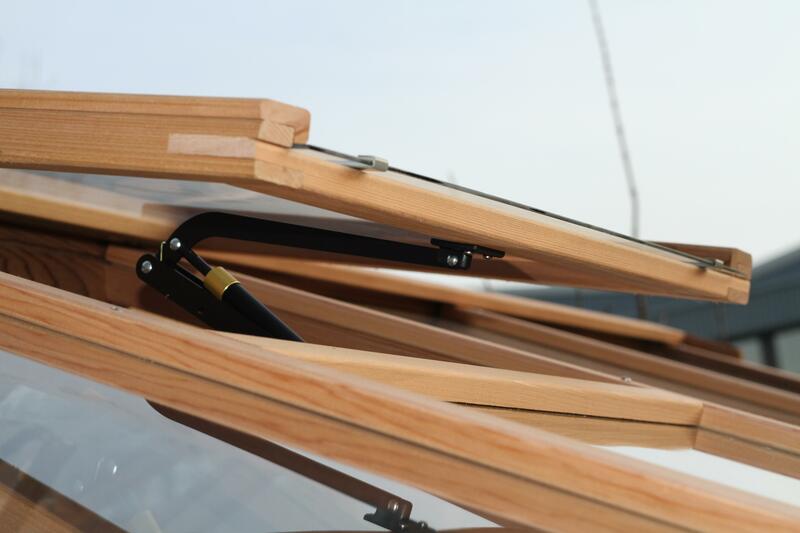 Noted for its extraordinary durability, it doesn’t shrink, swell or warp excessively, and readily holds wood stains and micro-porous paints. It has prime insulating qualities and its pleasant aroma is naturally repellent to moths, insects and vermin. finest-materialsAll of our unpainted greenhouses are factory-treated by total immersion in our Golden Honey cedar preservative prior to delivery which renders it virtually immune to decay, while our painted greenhouse options look stylish in any outdoor setting and are protected with micro porous paint. If you wish to maintain the original warm, golden honey colour, we recommend you re-treat your frame annually. If not, the wood will gradually fade to its attractive natural appearance - varying from almost pure white of the narrow sapwood to the light straw shade of the heartwood. 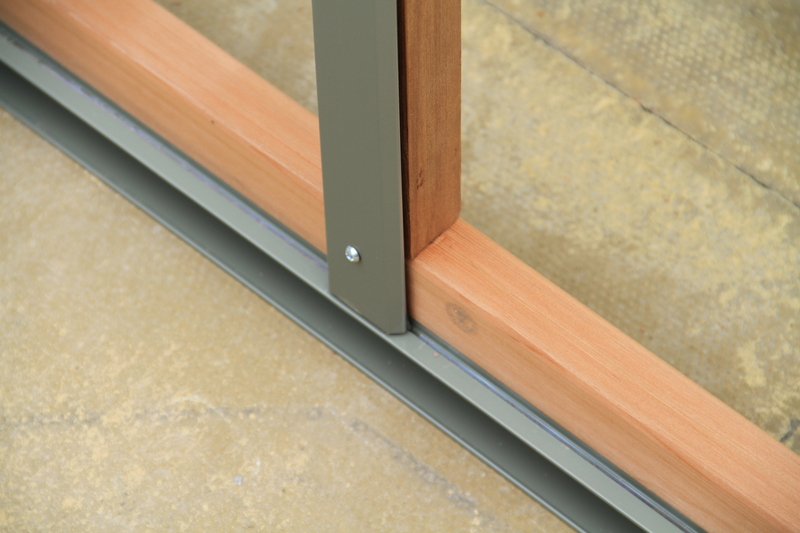 This will not affect your 10 year framework guarantee. 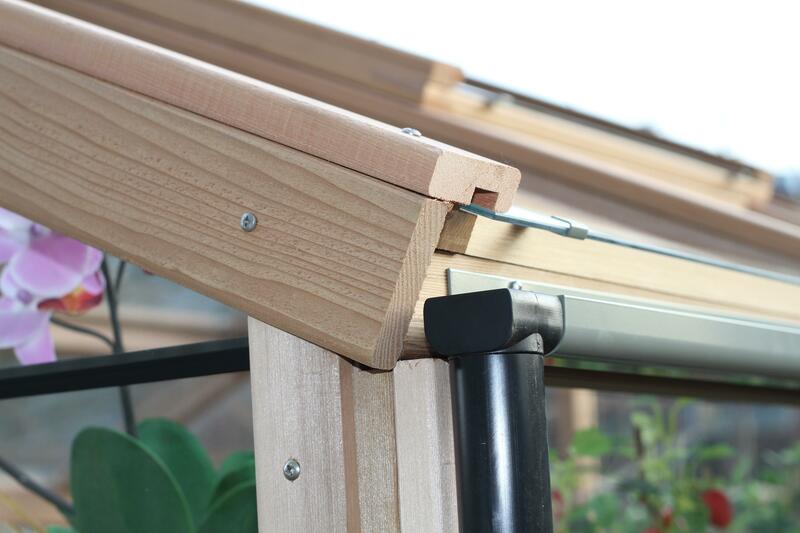 Guttering Takes the water away and allows you to collect it. 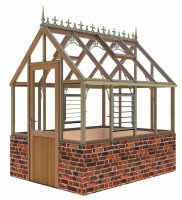 Included on every model regardless of which kind of capping you choose. 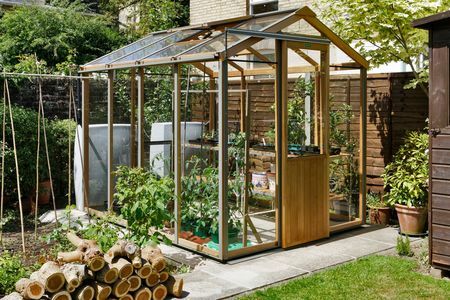 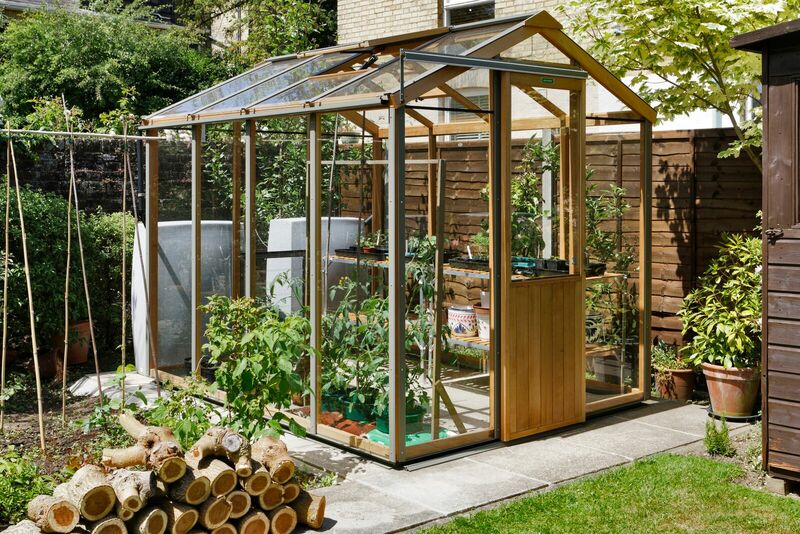 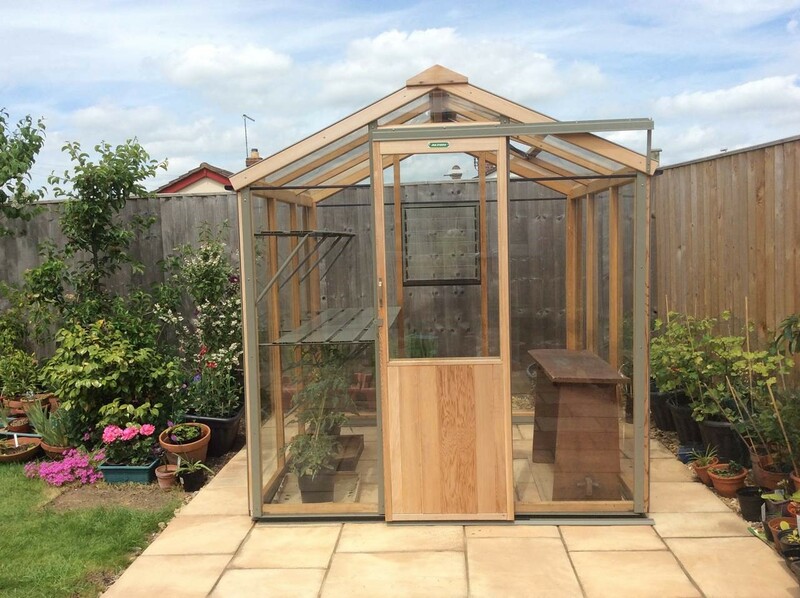 The most popular size of all in the greenhouse world is a 6x8 model and this 6’6” wide range gives you a generous extra few inches which make all the difference to this highly practical greenhouse. 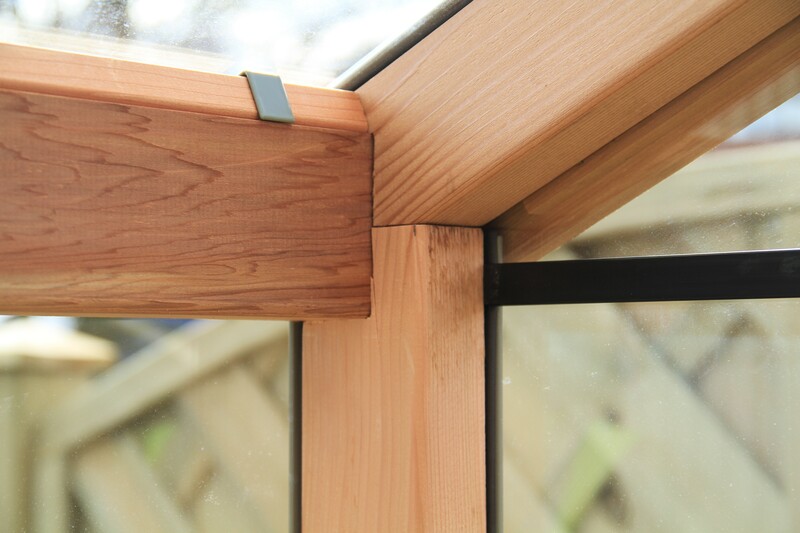 When you walk into this Alton Evolution model the first thing that you will notice is the wonderful smell of the Western Red Cedar. 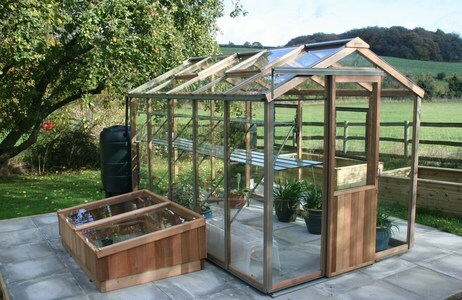 It’s this pleasant aroma that pests don’t like and one of the reasons that Cedar is so famous for greenhouse making. 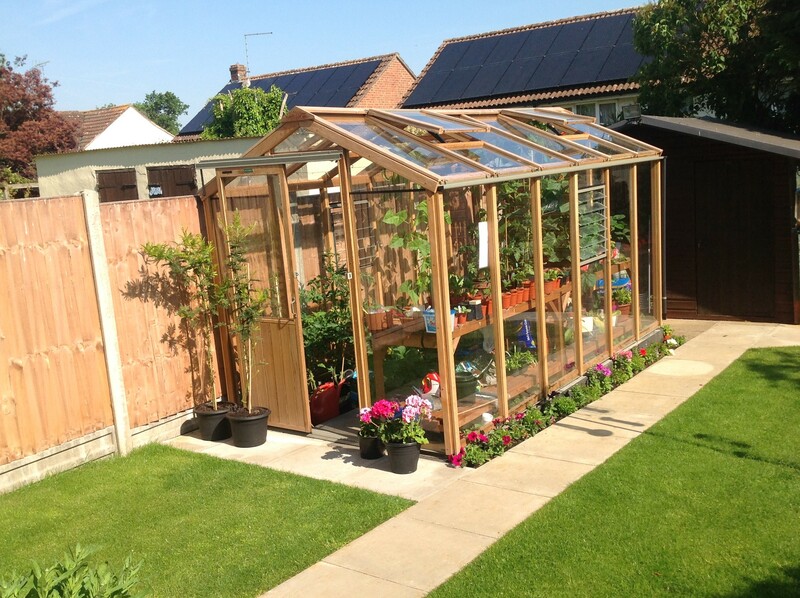 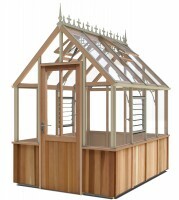 Like all the Alton Evolution models, the Six is packed with practical features that improve the lifespan of the greenhouse – for example all the Roof panes overlap the timber slightly, and the metal base keeps the timber off the damp ground, thus eliminating by design two of the old trouble spots where water would eventually cause the Cedar to rot. 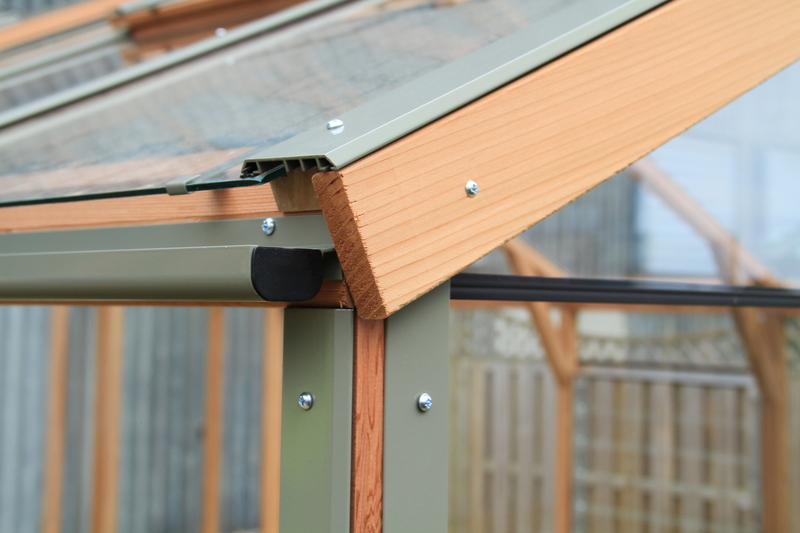 Plus if you choose to upgrade form the standard Cedar Capping to the Aluminium capping then your greenhouse will be almost maintenance free. 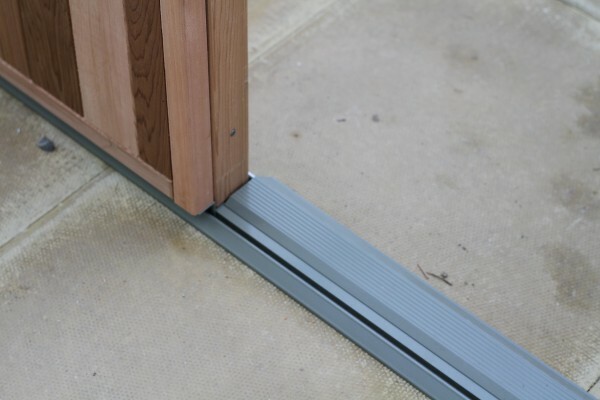 The Capping system is a strong aluminium capping system which screws into the Cedar frame and clamps the glass into the framework tightly – meaning that very little Cedarwood is actually exposed to the elements. 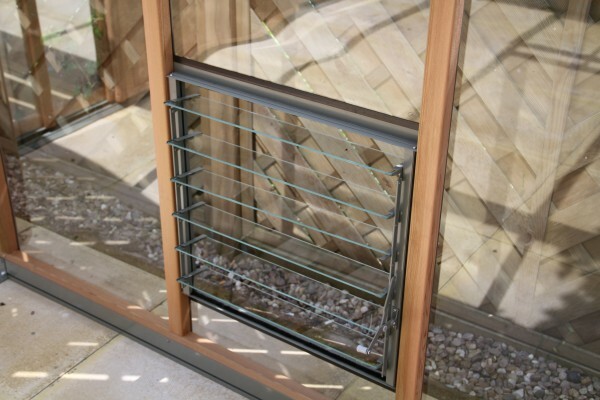 The Moss powdercoated finish blends in perfectly, particularly after the Cedarwood has weathered in to its natural silvery colour. 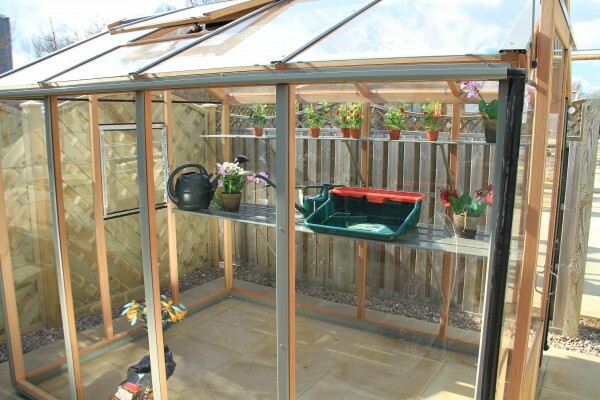 Automatic roof vents are included as standard and these release warm air out of the top of the greenhouse whist cooler fresh air is sucked in through the louvre side vents – This gives you the perfect ventilation.